io9 just posted several examples of the unbelievably detailed interior artwork from this upcoming 50th anniversary deluxe edition of Frank Herbert's Dune. 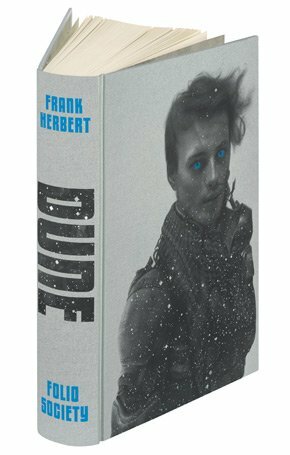 The art—by Sam Weber—is incredible (and that image of Baron Harkonnen is going to haunt my dreams), but I'm sorry: the only thing that would convince me to shell out $125 for a copy of Dune would be if the publishers packaged one of Weber's originals along with it*. *And not the Harkonnen one, because gross.